Ramen at home. Went to a local poultry farm for fresh free range chicken bones for broth. Bought fresh eggs too! Buy local! Pork belly chashu turned out pretty good. Overall, not bad, could be better. But poultry farm is excellent, will go again. 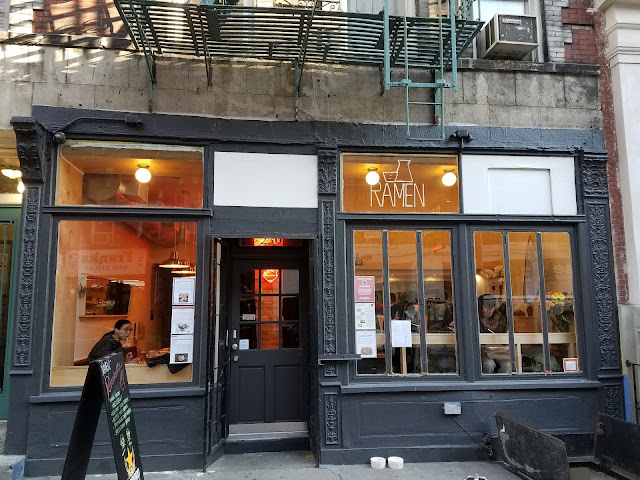 Went to Za-Ya Ramen in Brooklyn. Their specialty is beef broth ramen. Thin noodles with beef broth. 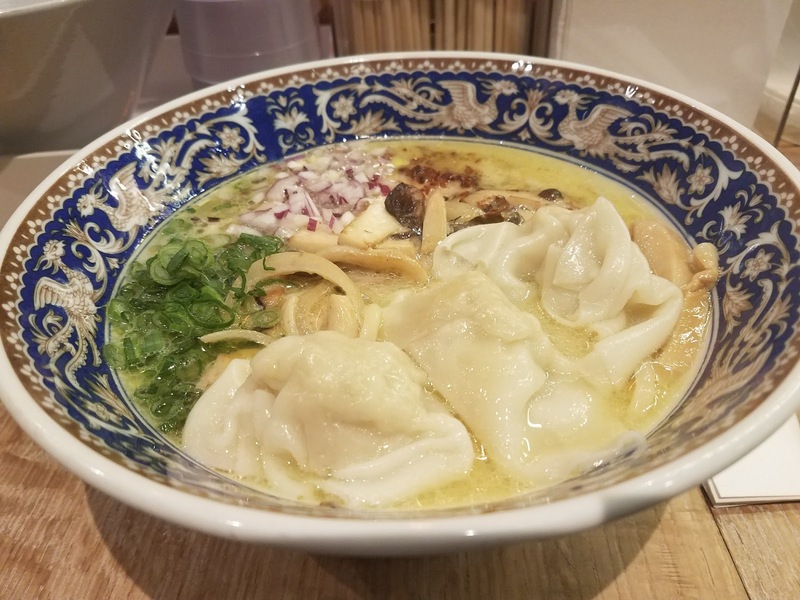 Menya Jiro's second shop just opened in Midtown East on Feb 19th, 2018! Kagoshima Ramen today, 2 pieces of thick chashu, bean sprouts, scallion, fried onion, with added ajitama. Same excellent taste as FIDI shop. Also offered is choose your own ramen! 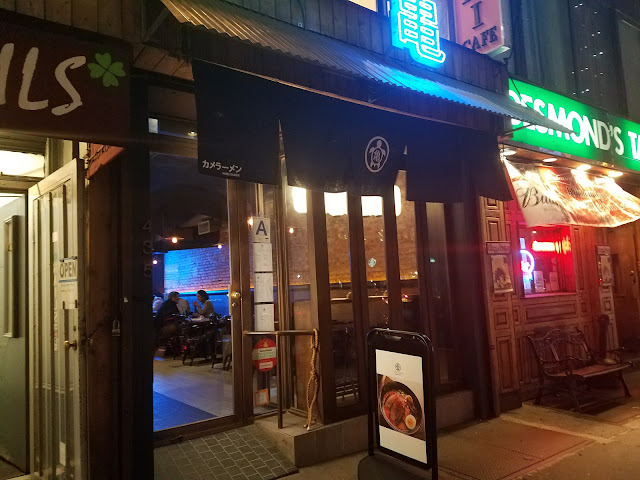 Shop is located at BentOn Cafe Midtown East. 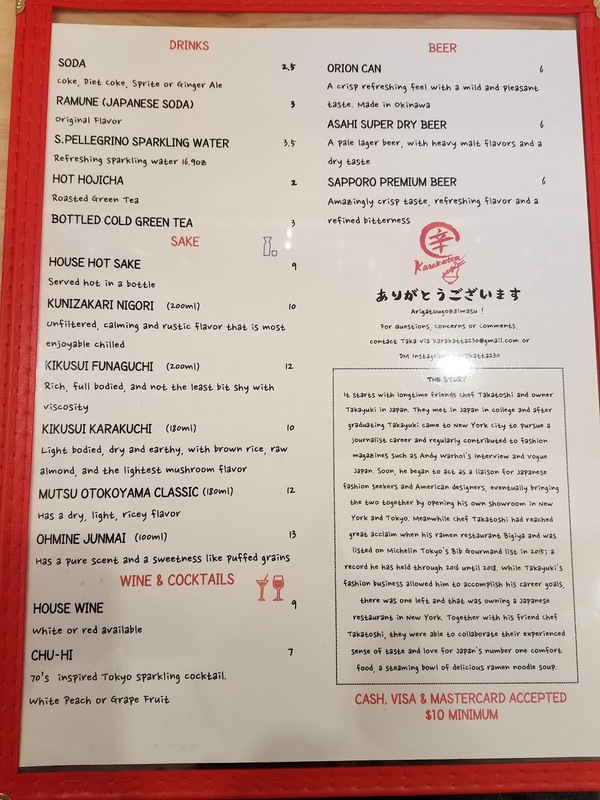 The store was renovated and Menya Jiro is open 5pm - 10pm Monday-Friday only. 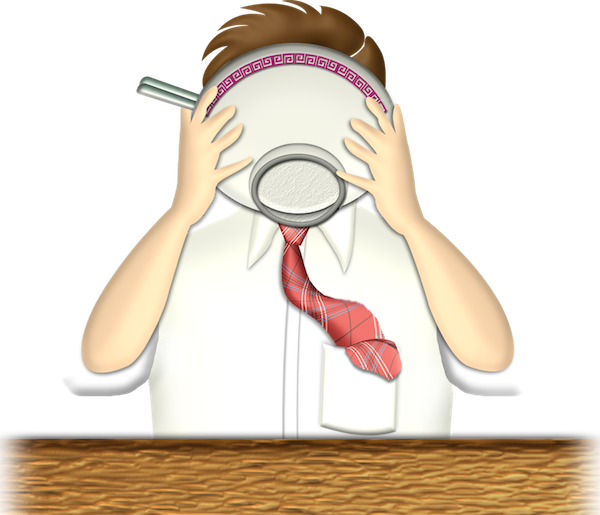 Lunch and weekends are BentOn (bento). New shop in Lower East Side, New York. 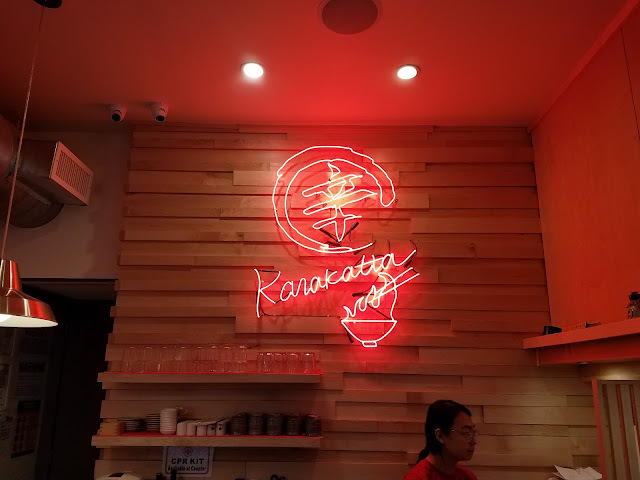 Tried their tonkotsu ramen. Had some bonito flavor as well. 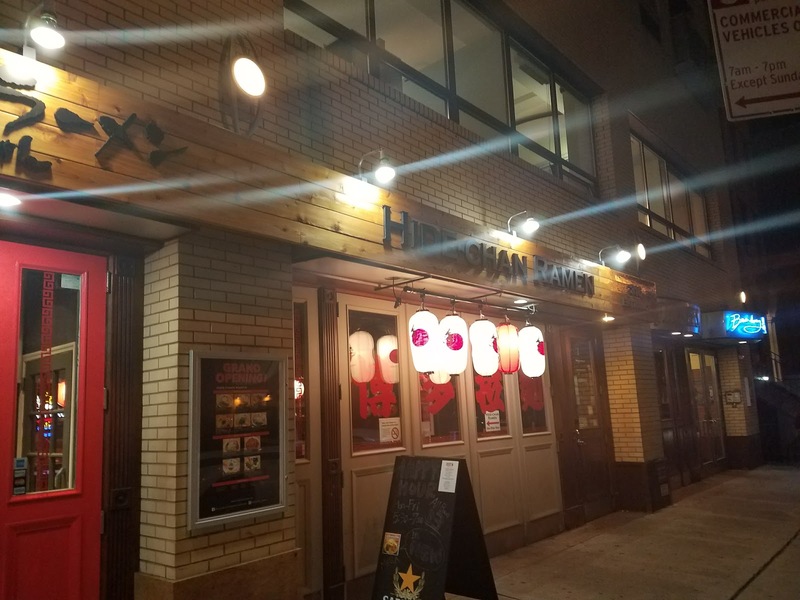 Free sake with Yelp check-in! Walking in snowy New York night. I visited Shinka Ramen today located in Chinatown, New York for the first time. Tried their tonkotsu ramen. $15, expensive..
Snowing today in New York. Ramen Lab featuring Tori Paitan Ramen this month. Comes with wonton with I love. Also topped with memma, which was really good, onions, scallion, and fried garlic. I also added mushrooms (4 different kinds) which was good match as well. Noodles were medium thickness, which I like. Very good match with thick paitan soup. This is offered until February 26th. Go try it out! 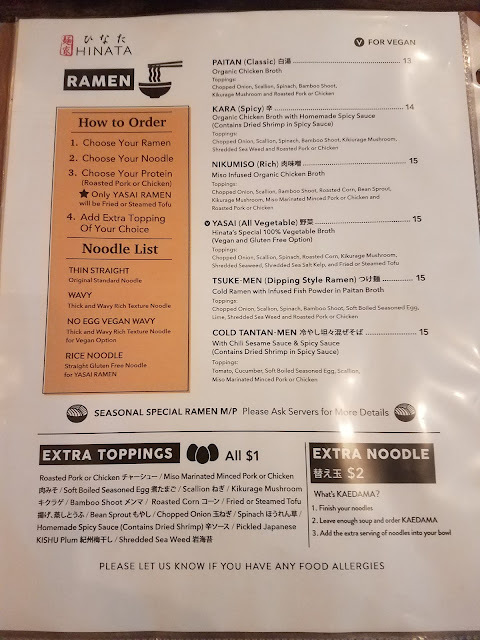 Craving ramen as usual, so stopped by Hide-Chan Ramen today. I had the Bonito Dashi Ramen. 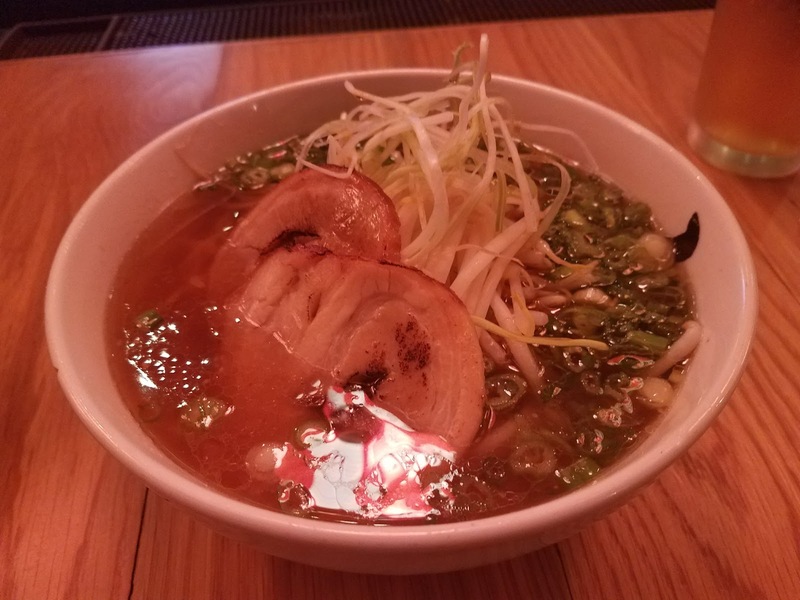 A little dark inside so pic quality isn't good..
Bonito broth with shoyu, good amount of bean sprout, scallion, and chashu. Menu and my left hand. 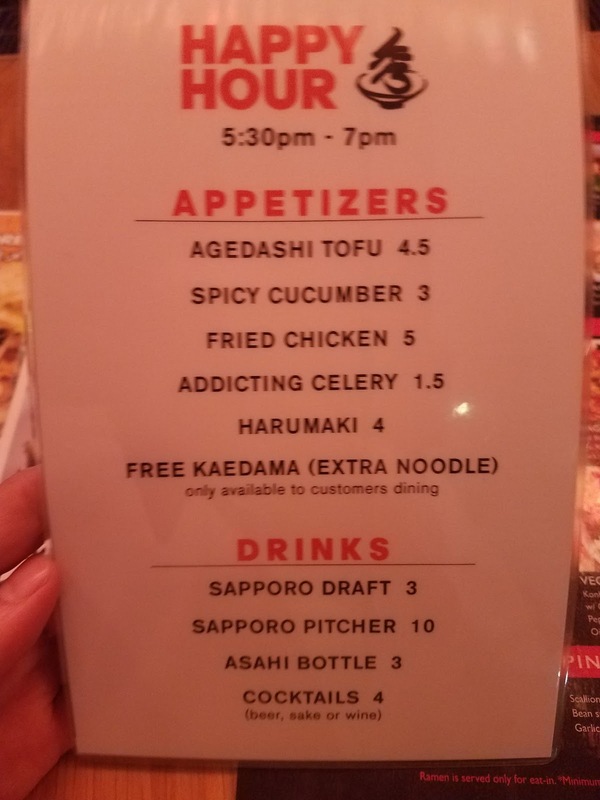 They have happy hour menu too. Made chicken broth shoyu ramen. Used 3 different shoyu blend. Chicken broth cooked for 6 hours. 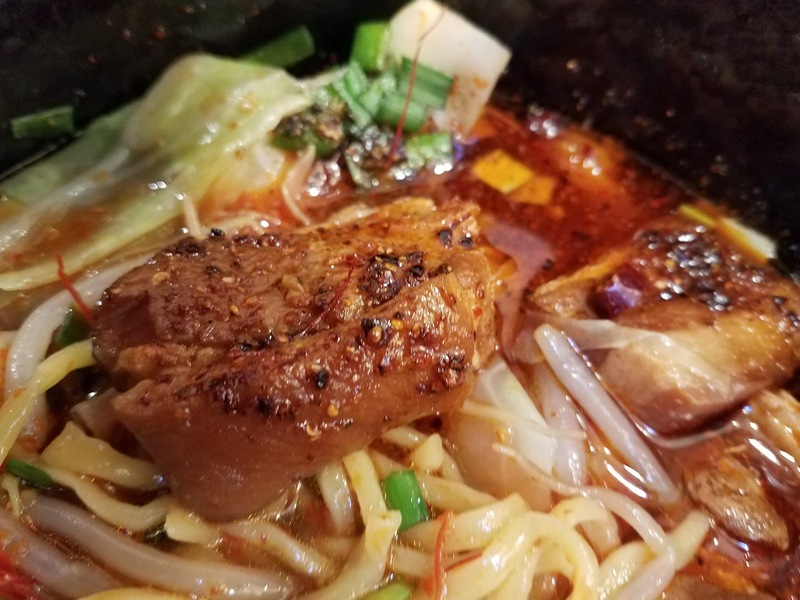 Chashu made with low temperature, cooked for 12 hours. Made memma with bamboo shoots too! The shoyu tare (shoyu sauce) came out pretty good. 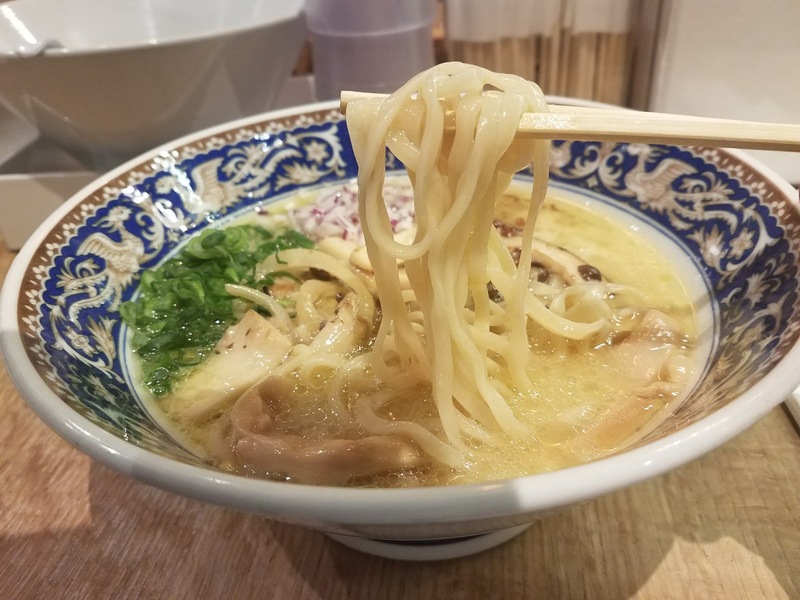 Best ramen I had in the past week. 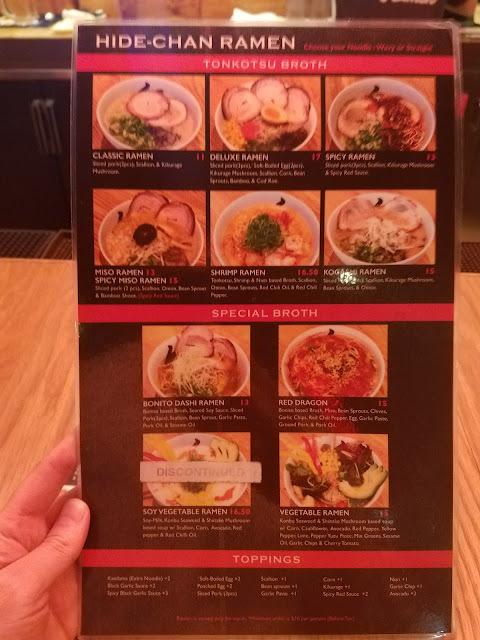 Ramen Azuma grand opening on Feb 10, 2018. Specializing in Tonkotsu style ramen. They have 12 counter seats, 2 tables seating 2, and 1 table for 4. Very modern and nice interior. Wish them good luck! I decided to go to Hinata today as I haven't been there in a while. Hinata means sunny in Japanese, but ironically it was a rainy day in NY today.. Hinata specializes in organic chicken paitan ramens. I had the niku miso ramen. Miso chicken paitan with miso marinated ground pork. 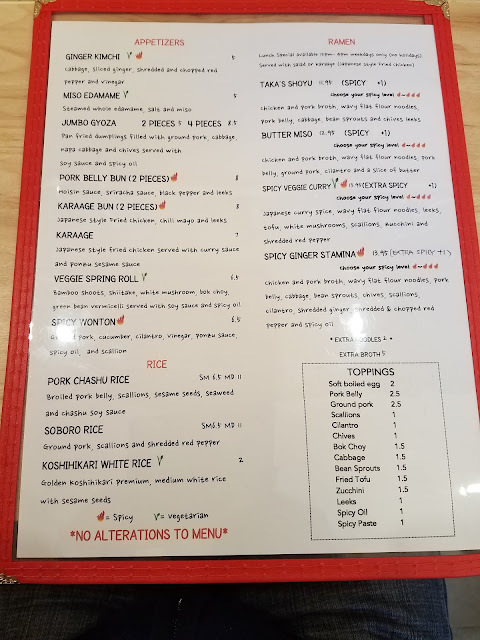 Choice of pork or chicken chashu (I chose pork), bean sprout, corn, memma, kikurage, onions and scallion. You can choose thin or wavy noodles. I had wavy. On 55th, between Lexington and 3rd Ave. This shop is CASH ONLY. Opened around June 2017, went there for the first time today. I tried the Tonkotsu Ramen. Didn't like it. Soup was bland and luke warm. Chashu was just big, but bland as well. 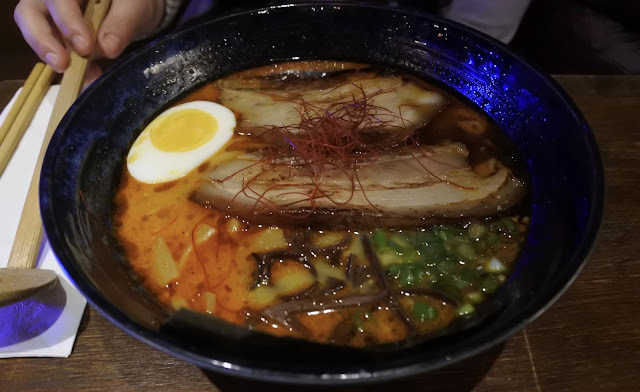 My ramen friend had the spicy tonkotsu ramen. Didn't like it either. 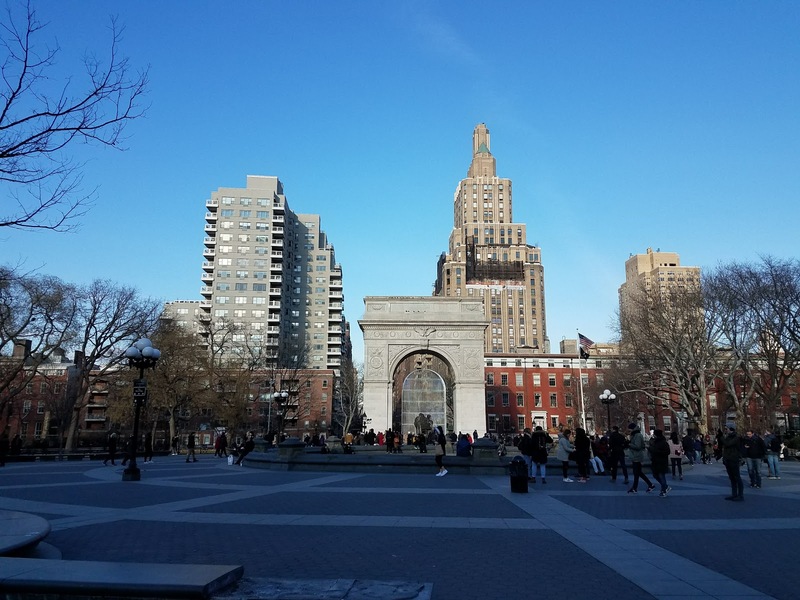 Located approximately 12 minutes walk from Grand Central Station. 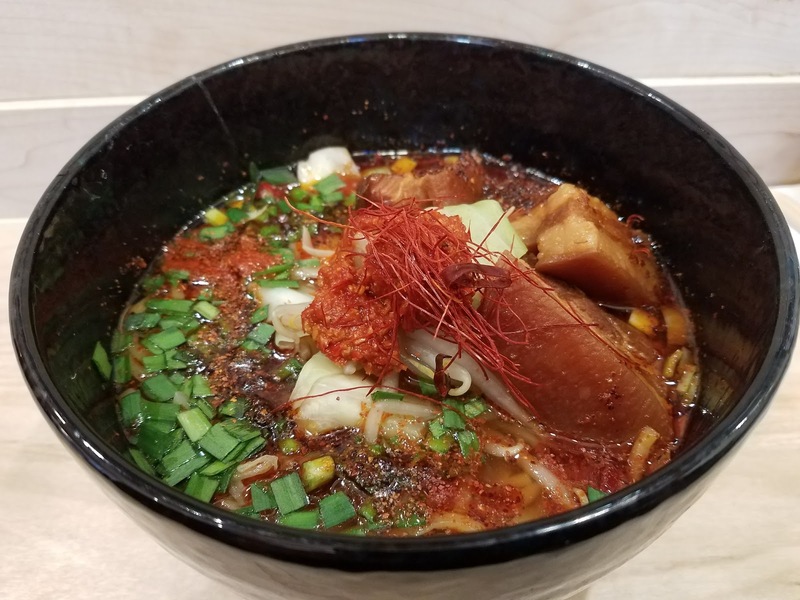 Brand new shop, just opened in January 2018 specializing in spicy ramen!! Karakatta! 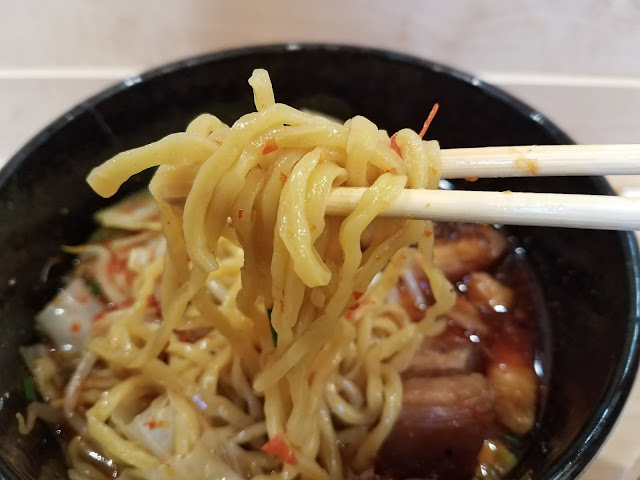 I tried the Taka's Shoyu Ramen. Comes with good amount of pork belly, cabbage, bean sprouts, chives, and several different kind of spices! 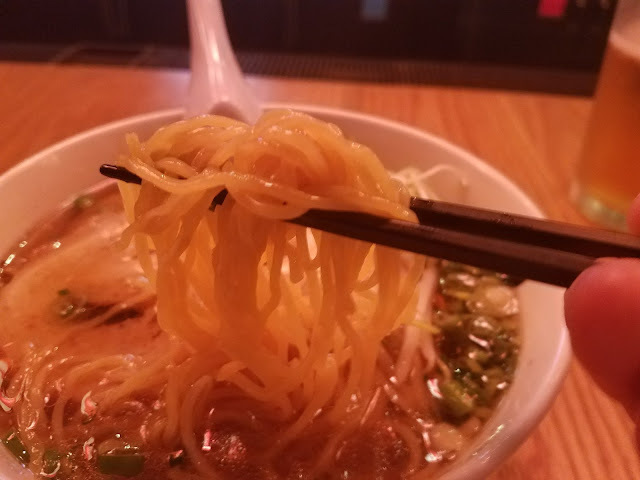 Wavy flat noodles, one of my favorite types of noodles. You can choose from 3 levels of spiciness. Of course I chose the 3! 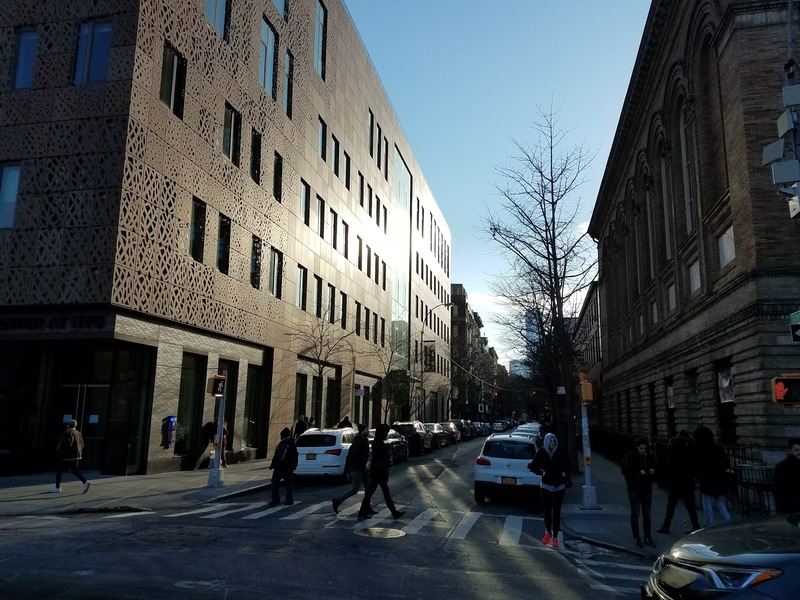 Located on Thompson St. right by Washington Square Park. Very good spicy ramen. Good amount of sweat, but my head was freezing when I stepped outside since I was sweating.